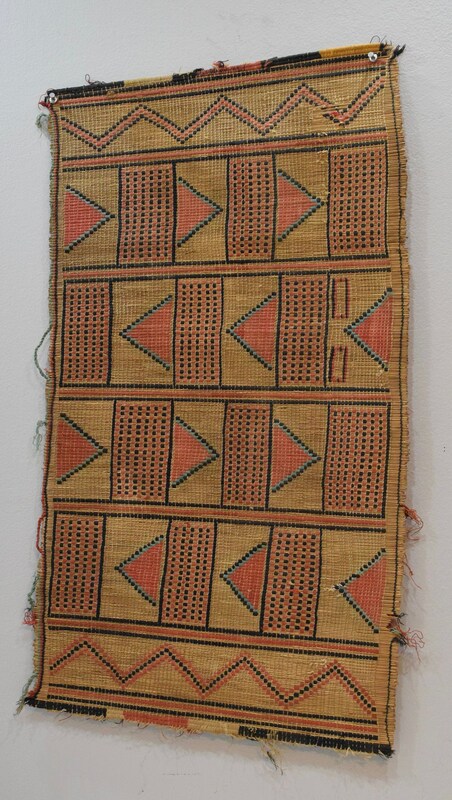 This is a wonderful Old Vintage Camel and Leather Woven Mat from the Tuareg Tribal Peoples of Mali. 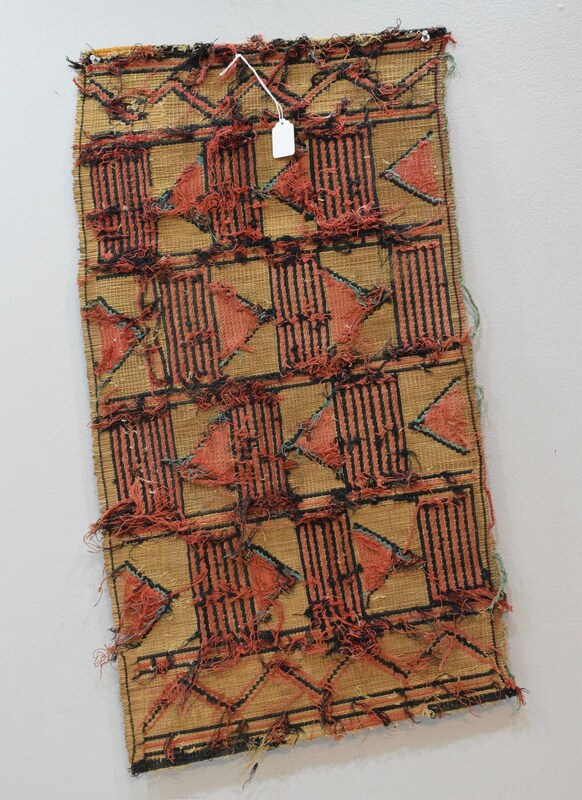 Tuareg mats are composed of dwarf palm tree fibers, hand woven with leather stripes, in reddish brown earth tone colors. These mats were traditionally used to cover floors and walls for warmth and protection. These mats are very important in nomadic life. Mats are used in tents as dividers, screens in tents or just to decorate the interior, for seating as well as praying. The Tuareg, leading a nomadic lifestyle can transport these mats very easily. This would be a wonderful addition to your collection and home. Shows age, some discoloration, but is in good condition.